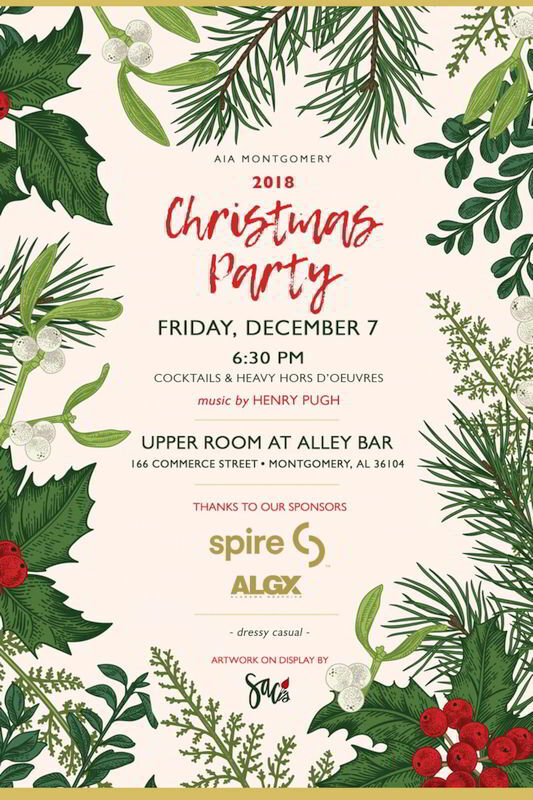 The Montgomery Chapter of The American Institute of Architects (AIA) hosted their Annual Christmas party (linked here) Friday night, November 7, 2018. 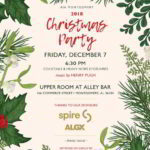 The venue for this year’s event was The Alley Bar in downtown Montgomery. Live music was provided by Henry Pugh. SAC’s Gallery was featured at this year’s holiday event. Everyone had a wonderful time talking with the architects about our art, sharing great food, and enjoying live music by Mr. Pugh and his ensemble. SAC’s wishes to thank the AIA Montgomery Chapter for including us and we hope to be invited back next year! To learn more about the AIA Montgomery Chapter, visit their website. Click any image to view the slideshow. Entertainment by Mr. Henry Pugh. Art on display provided by SAC’s Gallery. The desert table was an edible work of art. Jennifer Barber, Architect, admiring painting by Edward Brummal. SAC’s artists featured at the event. Would it be Christmas without a poinsettia? Patrons who had just purchased art are enjoying the party. Kathie McLeod and Peggy Raines admiring a beautiful metal rose by Rey Bellew.